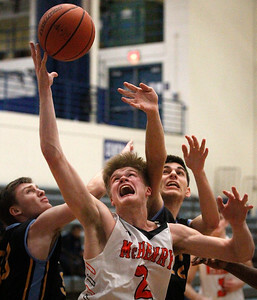 Matthew Apgar - mapgar@shawmedia.com McHenry's Brian O'Toole puts up a shot against Maciek Czerlonko, left, and Stefan Balban of Maine West during their boys basketball game on Saturday, Jan. 16, 2016 at Burlington Central High School in Burlington. 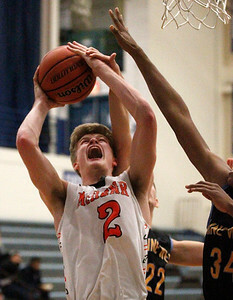 Matthew Apgar - mapgar@shawmedia.com McHenry's Brian O'Toole stretches out for the rebound against Maine West during their boys basketball game on Saturday, Jan. 16, 2016 at Burlington Central High School in Burlington. 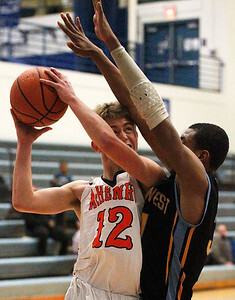 Matthew Apgar - mapgar@shawmedia.com McHenry's James Mulhall shoots past Marion Johnson of Maine West during their boys basketball game on Saturday, Jan. 16, 2016 at Burlington Central High School in Burlington. Matthew Apgar - mapgar@shawmedia.com Brian O'Toole of McHenry shoots the ball over the Maine West defense during their boys basketball game on Saturday, Jan. 16, 2016 at Burlington Central High School in Burlington. 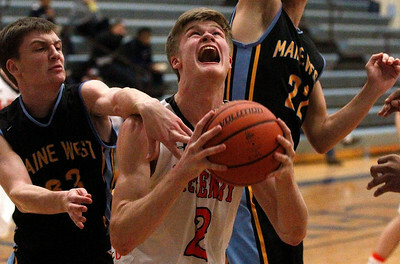 Matthew Apgar - mapgar@shawmedia.com James Mulhall of McHenry, left, tries to get to the hoop pat Marion Johnson of Maine West during their boys basketball game on Saturday, Jan. 16, 2016 at Burlington Central High School in Burlington. 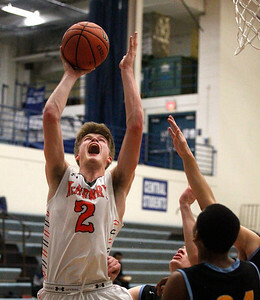 Matthew Apgar - mapgar@shawmedia.com Giovanni Calabrese of McHenry takes a shot against Maine West during their boys basketball game on Saturday, Jan. 16, 2016 at Burlington Central High School in Burlington. 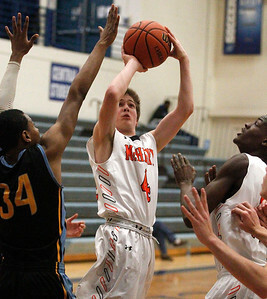 Matthew Apgar - mapgar@shawmedia.com McHenry's Brian O'Toole shoots against Maine West during their boys basketball game on Saturday, Jan. 16, 2016 at Burlington Central High School in Burlington. 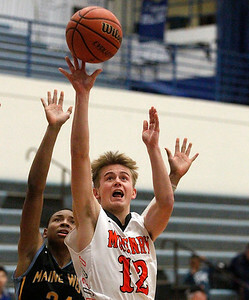 McHenry's Brian O'Toole stretches out for the rebound against Maine West during their boys basketball game on Saturday, Jan. 16, 2016 at Burlington Central High School in Burlington.